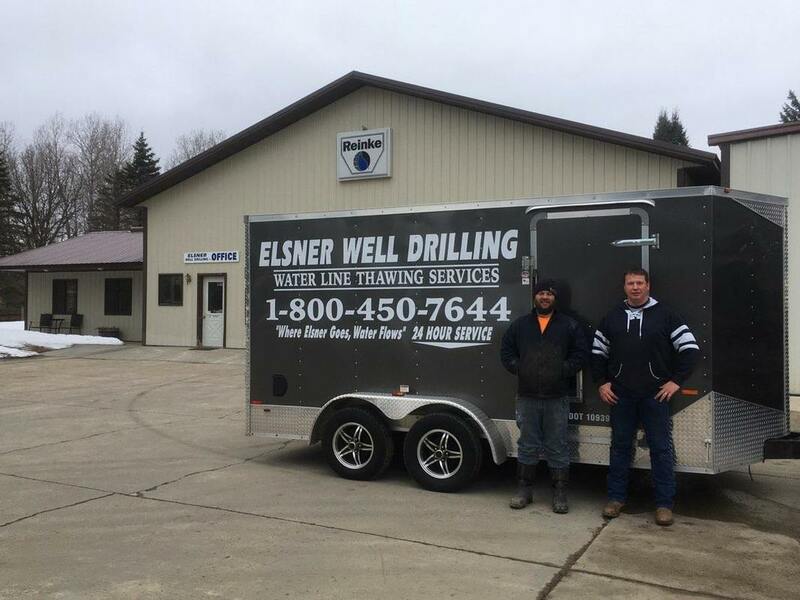 Elsner Well Drilling, Inc.'s Services - ELSNER WELL DRILLING, INC.
Providing services for your farm, home, cabin, golf course, residential, municipal and commercial properties. Wherever the job location might be, the Elsner team will have the solutions you need to get the job done right. We have rigs large enough to handle Municipal or Irrigation work, yet one small enough for that delicate tree filled lake lot. We offer Year-Round drilling, Complete Well Systems, Irrigation, Pump Repair & Installation, Reinke Irrigation Pivots, Well Abandonment, Geo-Thermal Drilling, Horizontal Directional Boring, Water Dowsing and much more. If you need any type of Well Service, look no further. PVC & Steel Well Casings Are Always Available! Custom design systems are only the beginning. Reinke's made-to-last products are dependable, virtually trouble-free, cost efficient, labor reducing, and able to handle even the most demanding terrain. For 60 years, Reinke has designed, manufactured, and distributed the most comprehensive line of mechanized irrigation in the industry. Fluid injection technology systems for precise control over what happens in your fields. Agri-Inject systems are smartly designed to be easy to use, easy to install and incredibly precise and reliable. At the same time, they are built to stand up to the elements and less-than-ideal conditions that are standard in the field. No more smelly water from heavy bacterial growth. With the JUG, animals can see and smell clean, fresh water. They do not have to learn to lift flaps or push balls and floats out of the way to get a drink. An internal, pilot-operated float valve which is adjustable from the outside of the JUG, automatically keeps the water at the determined level.